There is one thing that really helps me to create projects quicker when I sit to stamp and create. THAT ONE THING is a sketch! When I already come with an idea in mind it is so easy to use what I have at hand. This month I was inspired in several ways by the sketch we are using at our On Time for Christmas Challenge here! Join the challenge, you will love it! If you haven't seen it, go check the Sketch! 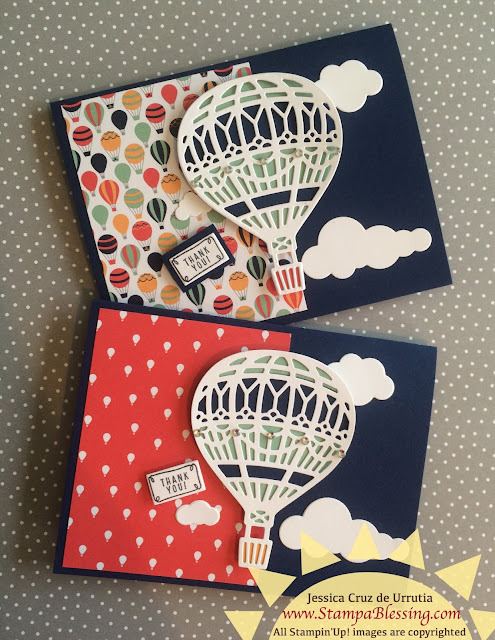 Otherwise, here is Beatriz Velez and my creation with the Lift me Up Bundle. 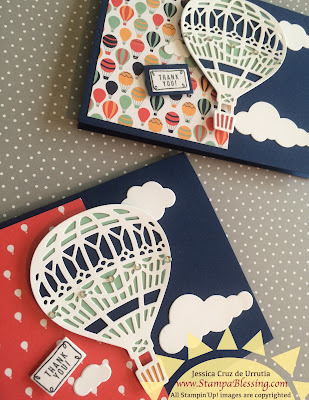 Bea came to stamp with me a few weeks ago and together we made these set of cards, we added a thing here or a thing there and voila! This is BY THE WAY my favorite stamp set in the newest Occassion's catalog is this one. Precious!! and definitely UPLIFTING! 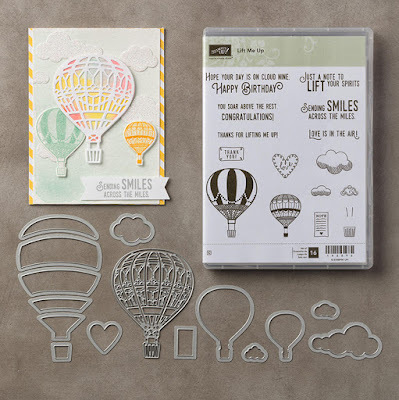 What is your favorite stamp set in the new catalog? 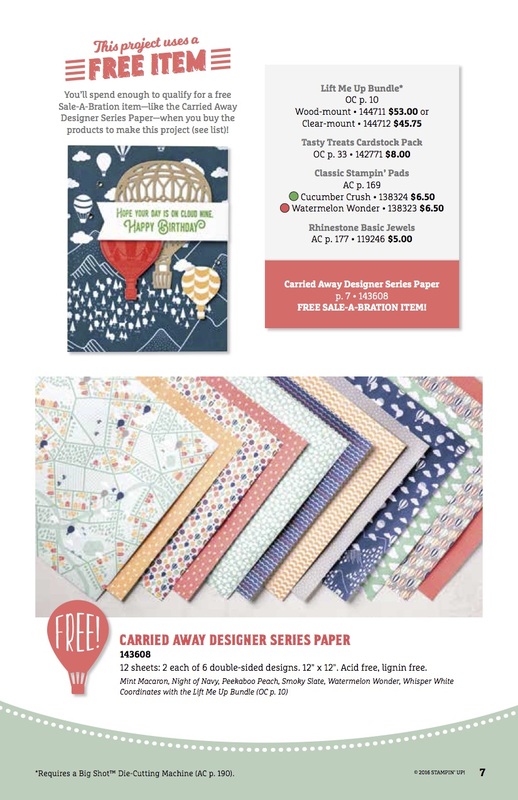 This wonderful Designer Series Paper is one of the FREE items from the Sale-a-bration catalog. When you spend $50 in any catalog or online product you receive a FREE product from here! Yay! It coordinates with this bundle perfectly. You can see all materials on a list below. January 28th at 10am. Don't miss it! 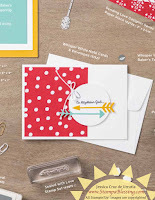 Please RSVP by Tuesday so I can have all the goodies ready for you! 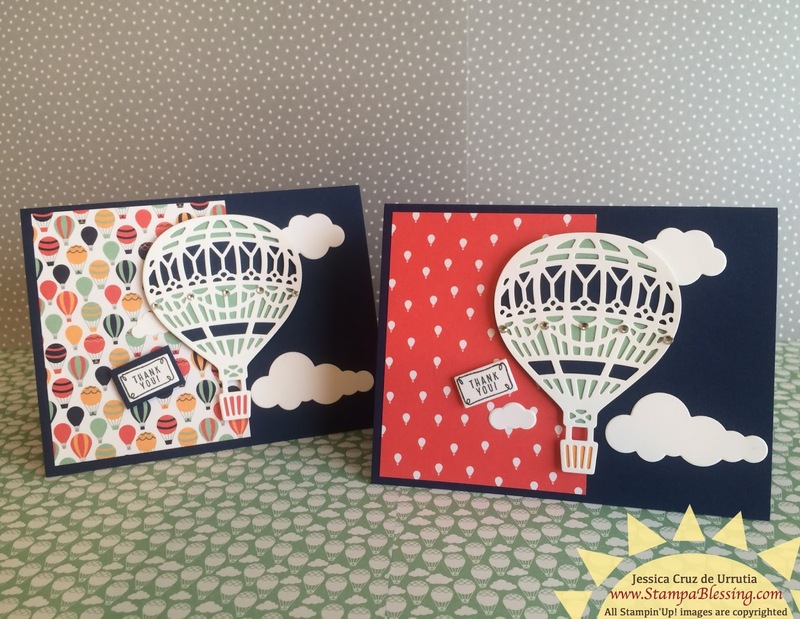 We will make 2 cards of 4 designs with 4 different stamp sets that are super in right now! Set those dates apart to stamp! Have you ever consider joining my team of demonstrators. 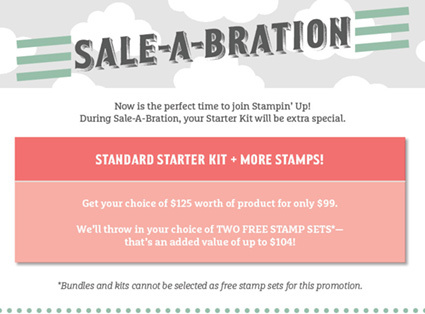 You are invited to join during Sale-a-bration and receive two FREE stamp sets in addition to all the products you receive with your Starter Kit free shipping! 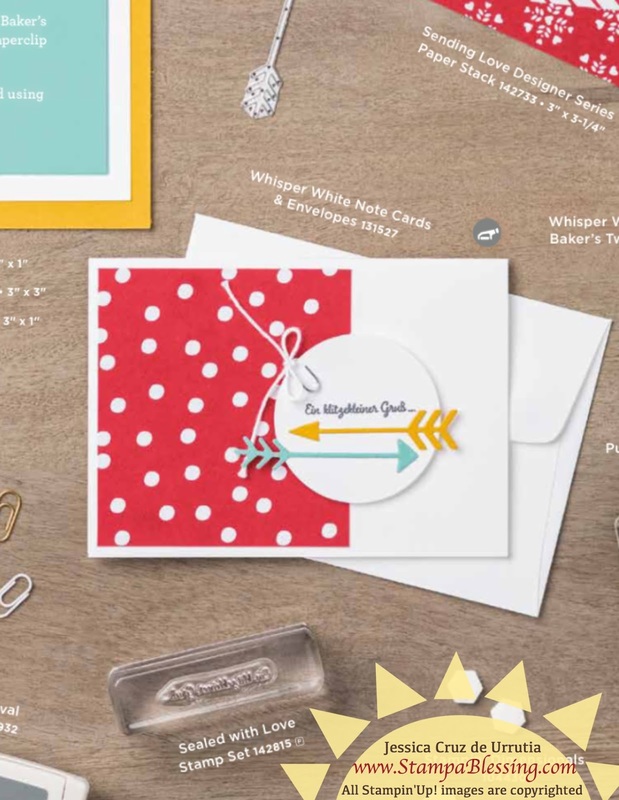 You pay only $99 plus tax, and receive $125 worth of products, plus two free stamp sets of your choice. 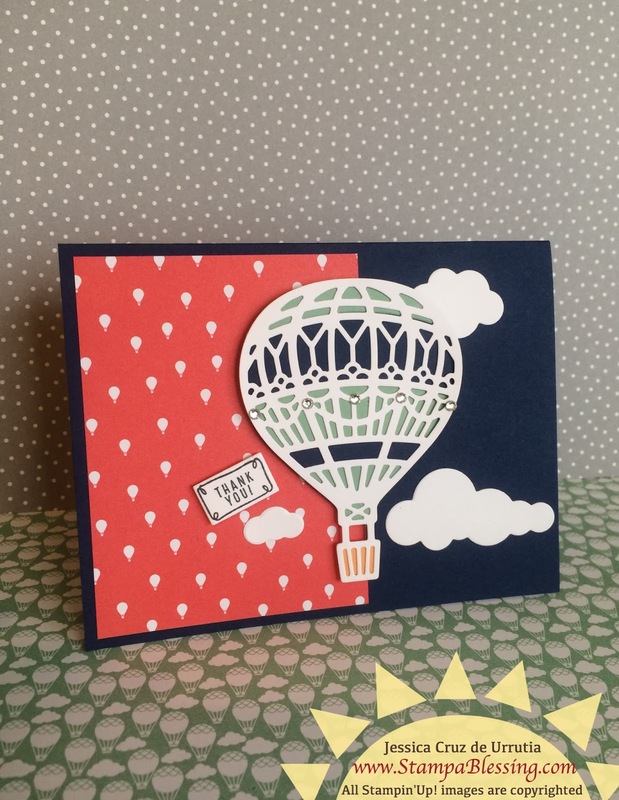 Check here to see an example of a Starter Kit (which you pick) or here for more information! Would love to have you as part of this family! Let's create together and bless the world around us with words of hope!